Over in the Random Text Thread I posted a couple pics of my toy collection,and got requests for more. So I figured this forum was the right spot for it. 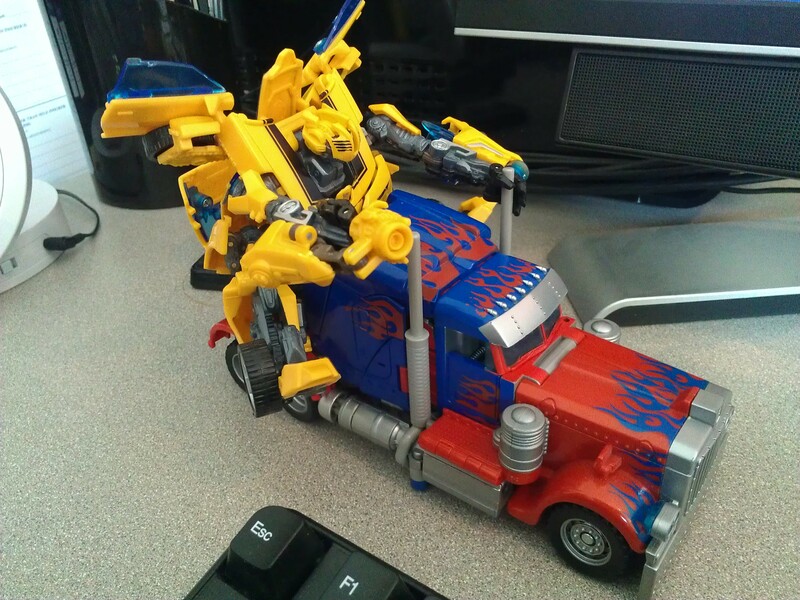 There may be some other lines mixed in, but I'll keep it mostly Transformers. And of course any other collectors on here are welcome to share their pics. 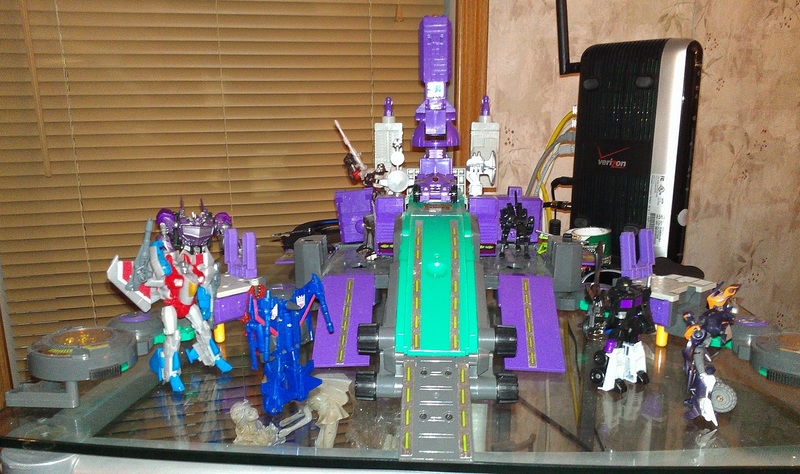 G1 Trypticon/Decepticon City populated by Legends class Decepticons. 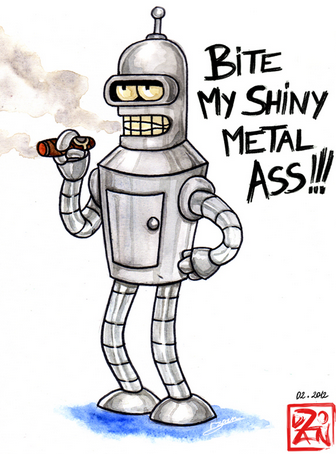 Powerglide petting Steeljaw, on Metroplex in battle platform mode. Has any of them ever broken? 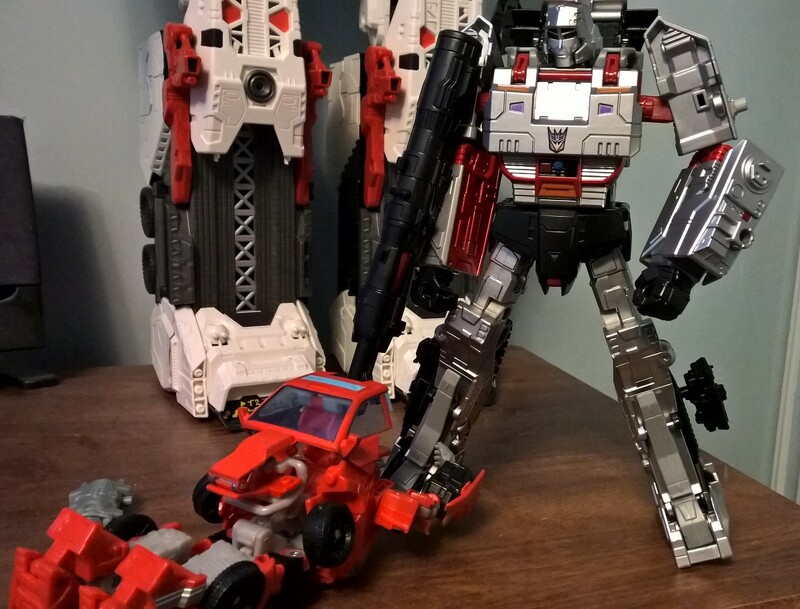 My original Jazz broke on its first transformation, while I was following the instructions. 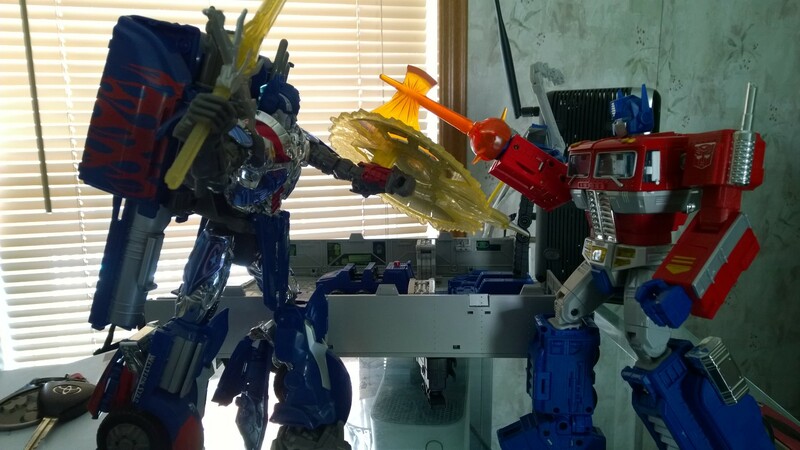 The roof joint is a known fragile spot.I've owned 3 original Optimus Primes, only one of which is still intact. My G1 Blurr broke, and I had to get one on Ebay to repair it with. 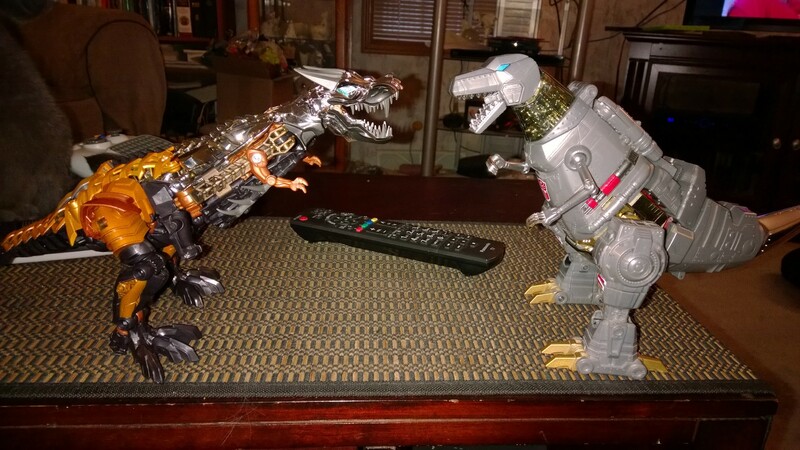 That Age of Extinction Prime has a spring-loaded head reveal - which tends to launch his head across the room! But overall my figures are in good shape. 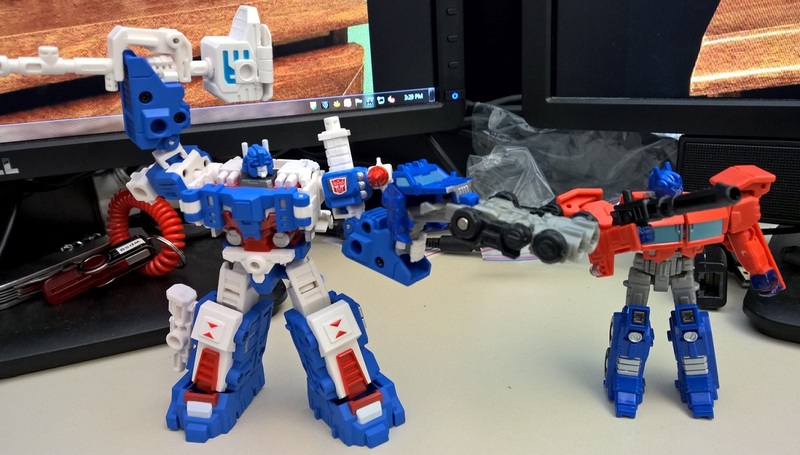 In general, I prefer the post-1986 stuff to the early Diaclone-based toys. They looked cool, but were incredibly fragile, even when they were new. 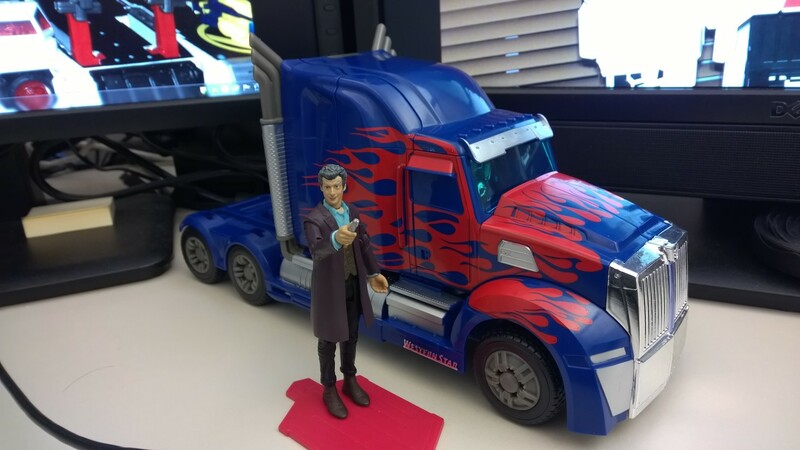 And the modern toys are really tough, apart from the Masterpiece line and the occasional manufacturing flaw. What's the total of your collection running at ? Number of figures or price? Not that it matters, I don't really have either number. Lost count years ago. At least a thousand, probably multiple. Also, speaking of collection, do you have any rare collectors items? I have a few Botcon exclusives, mostly from the 3H days (`97-2004). 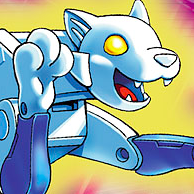 My favorites are Transmetal Tigatron, CATScan, Apelinq. I have a Transformers script - for a convention play - signed by the writer Simon Furman. 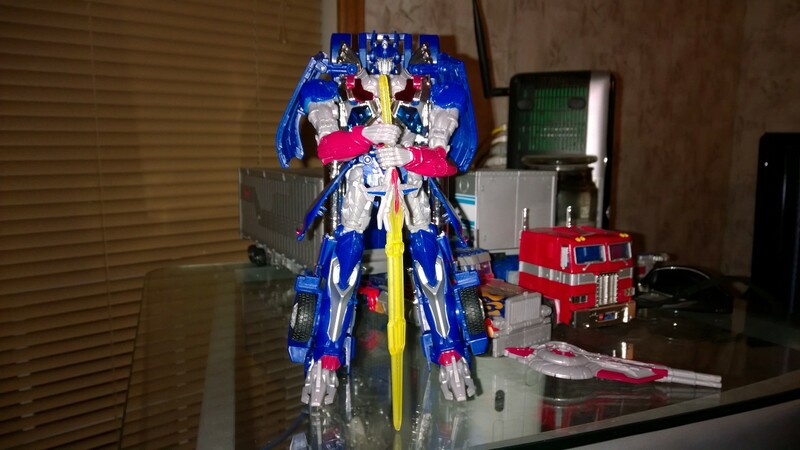 I have an Optimus Prime autographed by Peter Cullen. Actually I have autographs from every Optimus voice actor except Garry Chalk. 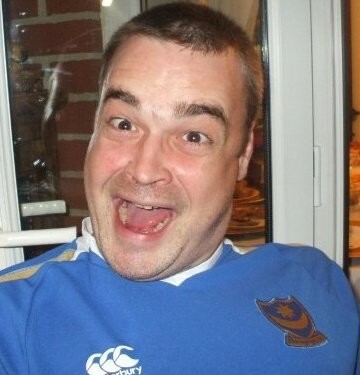 And my cousin Michelle but she'd kill me if I asked! I'm not kidding, she did play Optimus Prime in an official script performance at a convention! I'm lucky to have survived that weekend, since I got her into it! I also have some nice vintage Japanese figures. 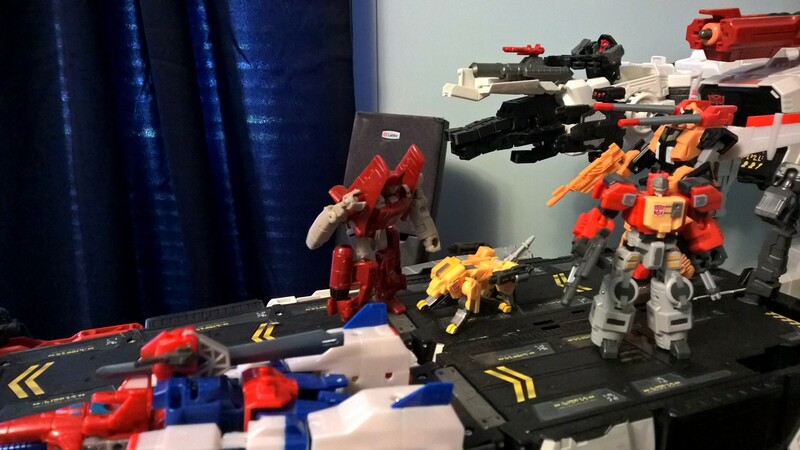 Overlord, Star Saber, Victory Leo. Most of those I know, some I don't ! Do actually play with em? Cool beans.......Im likin the Dinos in the first pic.Do you not have a display case for your best bits? Not yet. I'm thinking of getting a display cabinet from IKEA. Now that, would be my ultimate mashup! 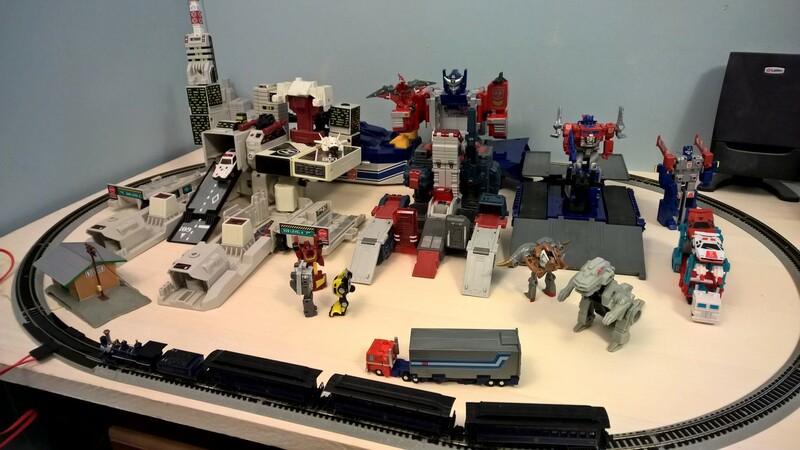 Autobot City, made from G1 Metroplex and Star Convoy, and a 3rd party Fortress Maximus. 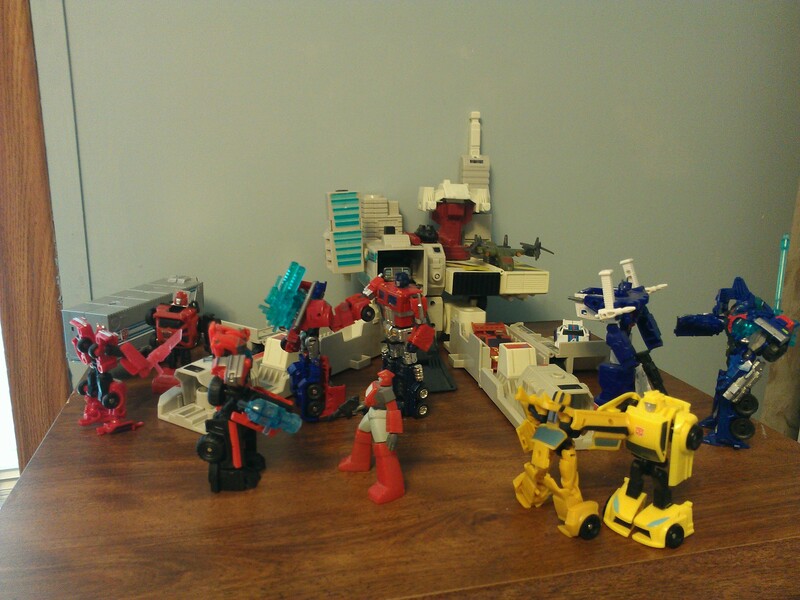 The population is a mix of small G1 figures, World's Smallest Transformers, Minicons and Kabaya model kits. AMazing! You should do time lapse! Also, dude, where do you sleep/eat live, etc all your house is filled with bots! Well, all these displays aren't up at the same time. 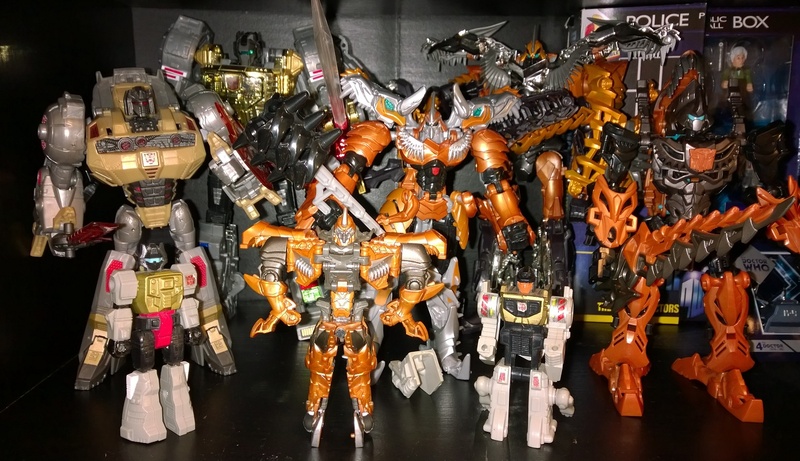 I have a large collection of TF pictures taken over time. 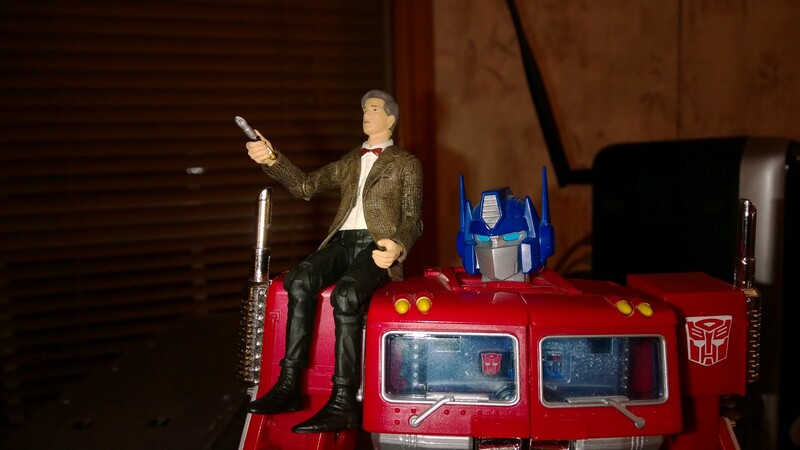 I like to occasionally post them in threads on TFW2005.